Max Neuhaus (born 1939) was in fact renowned for his interpretation of contemporary music while still in his twenties. In the early sixties, he toured America as a percussion soloist first with Boulez, and then with Stockhausen, and gave solo recitals at Carnegie Hall and in European capitals.The world of the percussionist is one focused on sound timbre: Neuhaus travelled with one thousand kilos of percussion instruments to perform his solo repertoire. He extended this palette of sound color by inventing several early electro-acoustic instruments. His solo album recorded for Columbia Masterworks in 1968 stands as one of the first examples of what is now called live electronic music. Neuhaus went on to pioneer artistic activities outside conventional cultural contexts and began to realize sound works anonymously in public places, developing art forms of his own. Utilizing his sense of sound and people’s reactions to it gained after fourteen years as a musician, he began to make sound works which were neither music nor events and coined the term ‘sound installation’ to describe them. In these works without beginning or end, the sounds were placed in space rather than in time. Starting from the premise that our sense of place depends on what we hear, as well as what we see, he utilized a given social and aural context as a foundation to build a new perception of place with sound. With the realization of these non-visual artworks for museums in America and Europe, he became the first to extend sound as a primary medium into the plastic arts. Over the last thirty years he has created a large number of sound works for various environments including permanent works in the United States (Times Square in New York and the Museum of Contemporary Art in Chicago) and Europe (Domaine de Kerguéhennec, Locmine, France; CAPC Musée d’Art Contemporain, Bordeaux, France; the AOK Building, Kassel, Germany; the Kunsthalle Bern, Switzerland; and the Castello di Rivoli, Museo d’Arte Contemporanea, Italy) along with numerous short-term works in museums and exhibitions (The Museum of Modern Art, the Whitney Museum of American Art, and the Clocktower in New York City; ARC, Musée d’Art Moderne de la Ville de Paris; the Centre National d’Art Contemporain, Grenoble, France; Documenta 6 and 9, Kassel, Germany; the Venice Biennale; and the Kunsthalle Basel, Switzerland) and numerous one person exhibitions of his drawings.His interests are diverse. He designs the sound generation and projection systems which realize his work, himself. 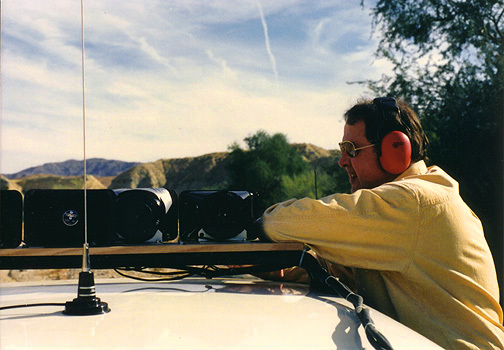 He has originated new concepts of aural urban design, and utilized his knowledge of sound technology and the psychology of sound to design a more humane and safer set of sounds for emergency vehicles. Recently he began a series of retrospective books on his oeuvre with the publication of Max Neuhaus, sound works, volumes I-III. (Ostfildern-Stuttgart: Cantz 1994).